RMP undertook acoustic assessment for the proposed facility medical centre that sits within the grounds of the Category A listed St. Mary’s Cathedral and unusually incorporates a stonemason’s workshop. We also undertook acoustic assessment of proposed new build consulting rooms in addition to the medical centre by provision of sound insulation measurements, recommendations on required façade insulation, assessment of the level of acoustic privacy between consulting rooms and adjacent areas. 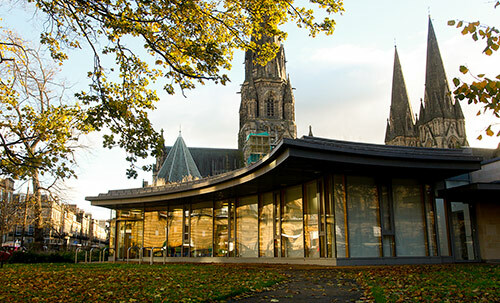 The Project won the Scottish Design Awards (Health Building Award) 2015.